Properties in Guapimirim average 4.8 out of 5 stars. GORGEOUS SITE WITH HYDROMASSAGE, VERY GREEN AND PEACE FOR YOU TO RELAX. Property 4: GORGEOUS SITE WITH HYDROMASSAGE, VERY GREEN AND PEACE FOR YOU TO RELAX. Beautiful Ranch in Guapimirim !! Property 5: Beautiful Ranch in Guapimirim !! Zurisadai Site - Events and Leisure. Property 16: Zurisadai Site - Events and Leisure. 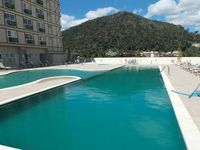 Excellent site with 6 suites, bedroom, barbecue, 2 pools and field. Property 17: Excellent site with 6 suites, bedroom, barbecue, 2 pools and field. Cozy house, fireplace, pool, barbecue. Property 22: Cozy house, fireplace, pool, barbecue. SHORT SUMMER IN MOUNTAIN CLIMATE, LEISURE AND SAFETY! 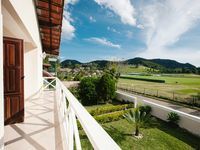 Property 23: SHORT SUMMER IN MOUNTAIN CLIMATE, LEISURE AND SAFETY! Looking for:relaxation , tranquility and nature ? You have found the right spot! Property 24: Looking for:relaxation , tranquility and nature ? You have found the right spot! Cozy house with pool, whirlpool, fireplace, pizza oven, garden. Property 34: Cozy house with pool, whirlpool, fireplace, pizza oven, garden. Property 39: Beautiful house in Itaipava, modern and cozy. BEAUTIFUL HOUSE IN ITAIPAVA with a beautiful view, FIVE MINUTES CENTER. Property 40: BEAUTIFUL HOUSE IN ITAIPAVA with a beautiful view, FIVE MINUTES CENTER. House in beautiful condominium in downtown Itaipava with beautiful view. Property 49: House in beautiful condominium in downtown Itaipava with beautiful view.